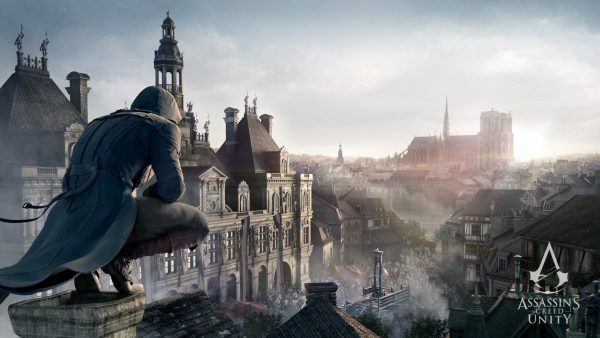 Sony’s numerous products unveiled at CES 2016 looks overwhelming. Within their personal audio series of products though, we’re seeing new water-proof Walkman wearables and additional wireless compatibility updates to their h.ear lifestyle high-res audio lineup. The Sony Walkman has more than 35 years of history, and its latest incarnation is an interesting attempt at keeping up with the times. 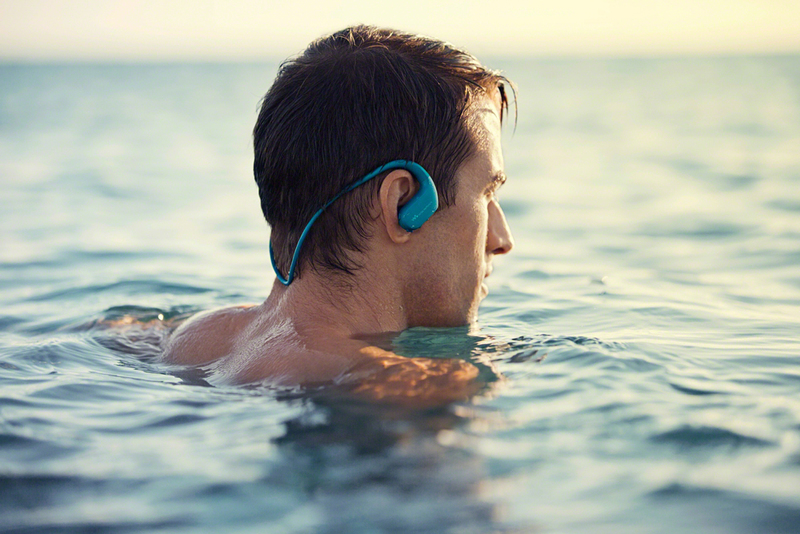 The Sony Walkman WS413 and WS414 are all-in-one digital music players with heightened weather-proofing made for sea sports. Essentially a pair of earpieces with built-in storage, the WS413 and WS414 has 4GB/8GB internal storage and supports MP3, WMA, Linear PCM, and AAC music file formats. Sony claims that it has a 1.5 hour charging time and a playback time of up to 12 hours, with a Quick Charge function that gives roughly an hour’s worth of music playback after charging it for three minutes. At 32g, the WS413 and WS414 are designed for a comfortable fit, even during water sports such as kayaking or swimming by the beach. You read that right – the WS413 and WS414 comes with intense weather-proofing. They are rated at IP65/IP68, and Sony says that both Walkman models are dust-proof, salt-waterproof, and comes with a rust-proof coating on the surface of the device. Adding to that, the new Walkmans are sand-proof and ‘highly’ corrosion-resistant because of their additional internal terminals that prevents accumulation of foreign particles. 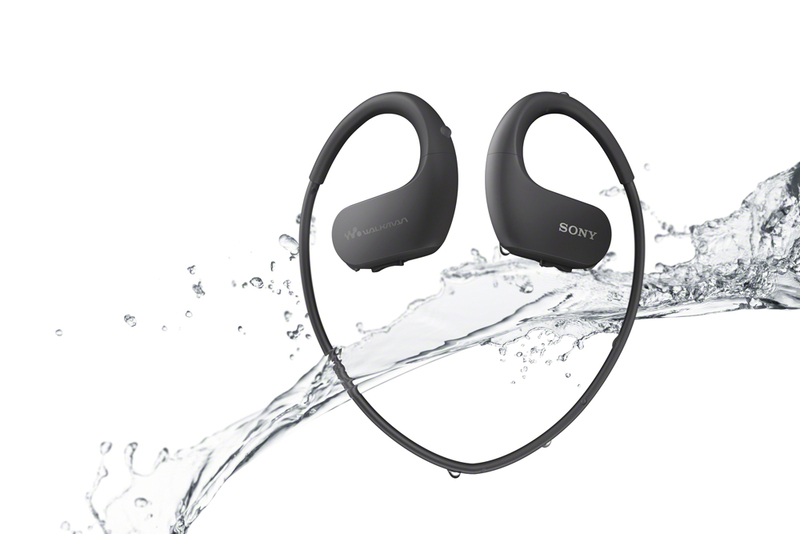 Sony provides both ‘everyday’ earbuds, as well as specially designed waterproof earbuds for their WS413 and WS414 devices. The devices are also effective in places with temperatures between 5°C to 45°C. Other features include Ambient Sound, where the in-built microphone picks up on audio from your surroundings to help you with situational awareness when using the WS413 and WS414 without having to adjust or remove the earpiece. Going by their specification sheet, the new Walkman devices are rechargeable via USB cables, and they come in four colors: Black, Ivory, Blue, and Lime Green. The WS413 / WS414 Walkman will be available in selected Asia Pacific countries from February 2016. 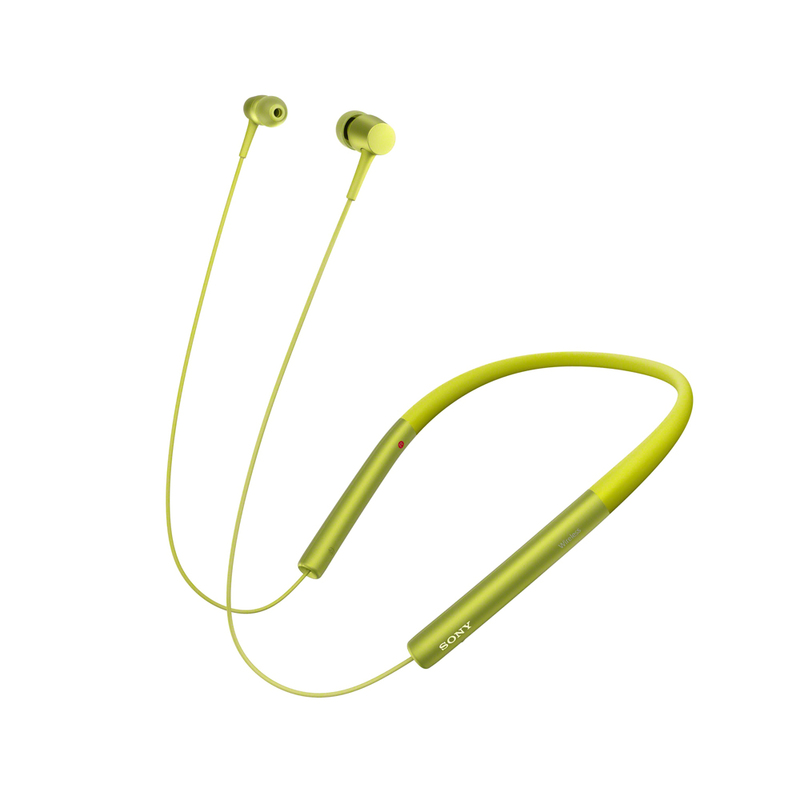 Remember the trendy and vibrant-looking h.ear series with high resolution audio quality? This year, these devices will now come with wireless compatibility. The MDR-100ABN h.ear on Wireless NC is a pair of closed-back headphone with Bluetooth compatibility and Digital Noise Canceling functionality. It features a 40mm driver unit like its predecessor, with Bluetooth 4.0 (A2DP, AVRCP, HFP, HSP) support and SBC, AAC, aptX, and LDAC audio codec support. Digital Noise Canceling is an active NC feature that reduces ambient sounds based on what the MDR-100ABN detects, and it will adapt the most effective noise-canceling mode for the environment. The MDR-100ABN boasts up to 20 hours’ worth of playback with both Bluetooth and NC switched on. When wired up, it has a frequency range of 5 – 40,000Hz, and an impedance of 32 ohms (16 ohms if powered off on wires). 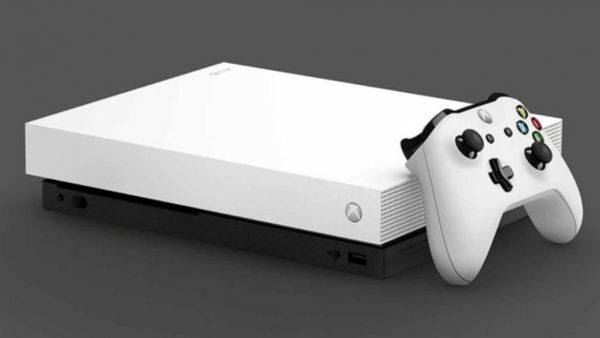 It charges via USB, and weighs 290g. The specifications provided by Sony indicate that it would take six hours to fully charge the MDR-100ABN. If you prefer in-ear earphones, there’s the MDR-EX750BT. Unlike their previous noise-canceling iteration, the MDR-EX750BT adopts a behind-the-neck design, which allows the entire device to rest around the neck. The headphones contain 9mm drivers and it also comes with an in-built microphone and HD voice support, which adds to the hands-free experience when accepting calls on a connected smartphone. As mentioned, it is wireless, and it uses Bluetooth 4.1 (with A2DP, AVRCP, HFP, and HSP). Supported codecs include SBC, AAC, aptX, and Sony’s LDAC. It has a maximum playback time of 7.5 hours, and it takes 2.5 hours for the MDR-EX750BT to attain full charge. If you still want to use it with an audio cable, that option is still available too: it has a frequency range of 5 - 40,000Hz when wired. The MDR-100ABN weighs 38g, without taking the cable’s weight into consideration. 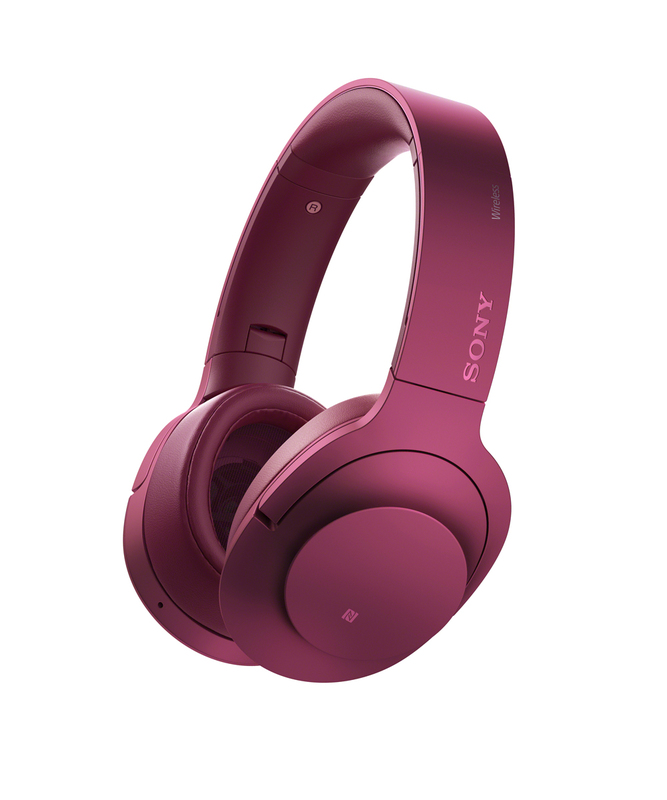 The new range of h.ear headphones from Sony will be available in selected Asia Pacific countries from March 2016.